College preparation begins in kindergarten. High expectations support high achievement. Urban students deserve the best. 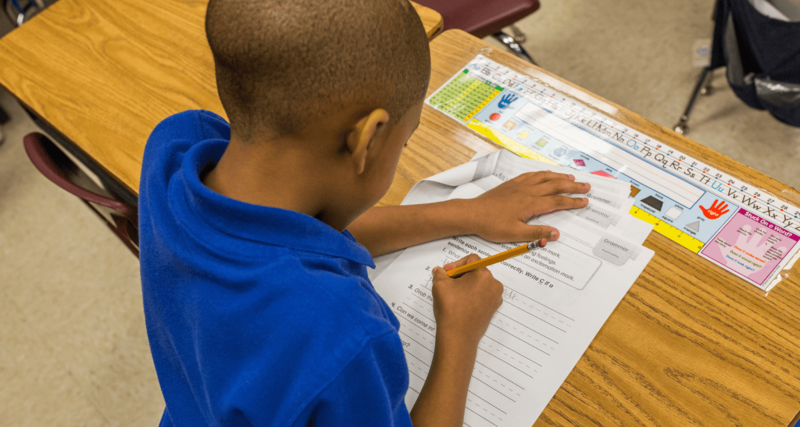 As noted by the National Research Council, “academic success….can be predicted with reasonable accuracy by knowing someone’s reading skill at the end of 3rd grade.” CEG understands the importance of college preparation at an early age and therefore provides students with the foundation of knowledge and skills necessary to succeed in college. CEG believes that all students can learn at a high level when provided access to an achievement-oriented, structured, disciplined environment beginning in kindergarten. The school demands excellence from students and faculty alike, seeking the highest level of achievement from every individual. 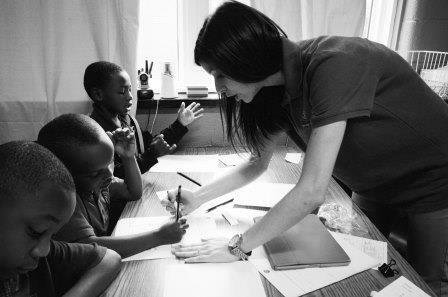 The work of educating urban students is of utmost importance. The future of our community and country depends on it. Therefore, CEG values every minute of the school day. Every system, process, and procedure is designed to maximize the learning time for students. The world needs educated leaders with character. CEG students are equipped and challenged each day to grow in their ability to lead. 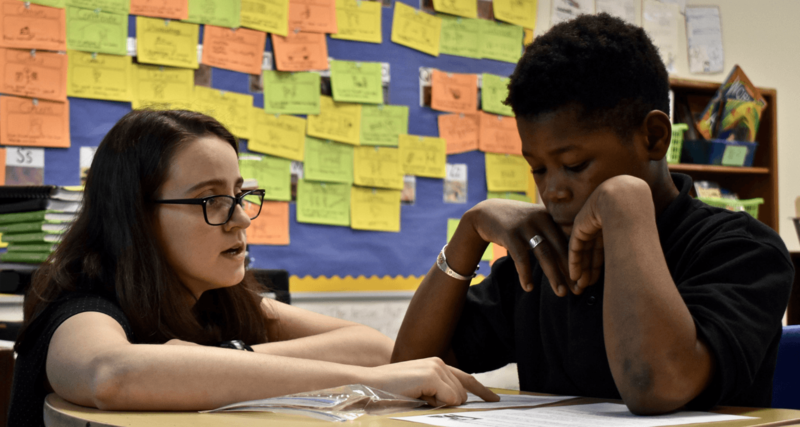 This leadership focus prepares students not only to be leaders in their school but to become life-changing leaders in their community after leaving school. Urban students consistently attend under resourced schools when compared to their suburban counterparts. Urban students also consistently perform poorly on standardized tests when compared to their suburban counterparts. 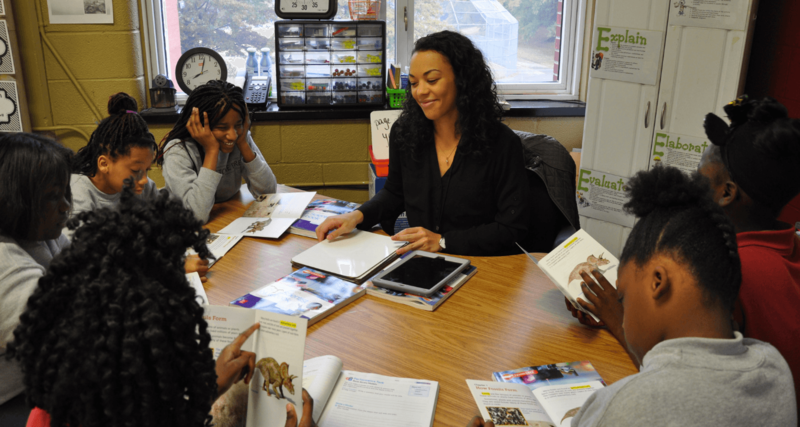 CEG believes all students, regardless of their zip code, can perform at high levels when provided great teachers, proven instructional methods, adequate facilities and the opportunity to achieve. CEG schools, located in urban communities, give urban students the opportunities they deserve. CEG utilizes a "best practices" approach to educating the future leaders of our community. 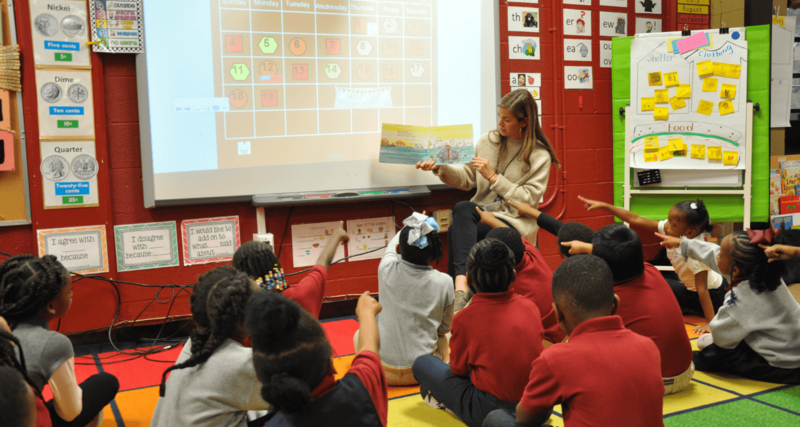 These best practices, based on high-performing charter schools across the country, form the basis for the academic and leadership development approach utilized at all CEG schools. CEG codified these best practices in a document called The CEG Blueprint and can be symbolized using the Parthenon. The Parthenon, built in Greece 447 years before the birth of Christ, stands today as a testimony to the lasting value of a well-designed structure built on a solid foundation. CEG seeks to provide every child with a well-designed education that becomes a solid foundation for life. 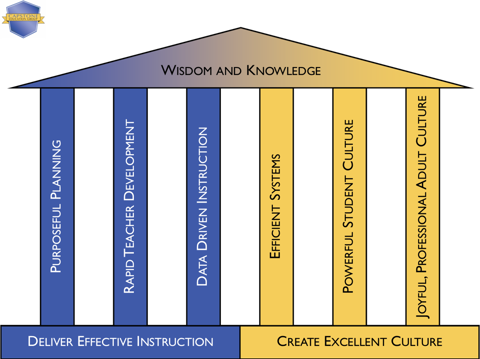 The CEG Blueprint consists of two foundational beliefs that form the base on which we build our schools - delivering effective instruction and creating an excellent culture. Three pillars stand on each of the two foundational beliefs and each pillar has several critical beliefs, systems or actionable items called the building blocks. These components, depicted above, provide the outline for the work occurring in every CEG classroom.